Home Antivirus How to Remove Virus by using PC Matic Antivirus? 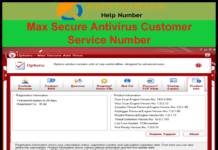 How to Remove Virus by using PC Matic Antivirus? .PC Matic is an excellent antivirus to remove any kind of virus or malware from your system. It requires a very low average time to perform the full scan of your system. Once you install and run this program on your system, you will see the steps to scan and remove the virus. However, if you feel like you are having trouble performing scan or virus removal, you can follow this article. 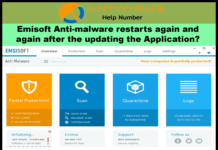 Here in this guide, we are providing you the steps following which you can remove the virus by using PC Matic Antivirus. Open the PC Matic Antivirus on your computer by double-clicking on its icon and provide your login details. The home screen of the PC Matic will appear on the screen. After you click on the ‘Scan’ button, you will see various scan options provided by PC Matic. For your first scan, check the ‘Disks’, ‘Benchmarks’ and ‘Malware’ options and click on ‘Continue’. (Automate Changes is not required if you are scanning your system for the very first time). Scanning will start and you can see the status and progress of scanning in terms of maintenance, stability, security, and performance. After the complete scan, you can see the scan summary on the screen. The summary is color-coded for the convenience of the user. You can see the summary of changes and suggestions by clicking on ‘Summary’. You can also see an entire page of detailed updates by clicking on ‘Reports’. Click on the gear-shaped ‘Next’ button present at the bottom right corner. The PC Matic will automatically start cleaning your PC after you click the Next button. After the removal of virus or any other junk files in your system, PC Matic will display a report of every taken action. After the completion of this process, you will have to restart your computer and rescan it for an updated report. You can also do the setting for the weekly scan if you wish.